So last month I taught myself how to save seeds from garden vegetables. I figure if I’m going to keep gardening, I should expand my knowledge at least a little bit each season. I chose to start with something easy: tomato seeds from the gigantic cherry tomato plant in our front garden. 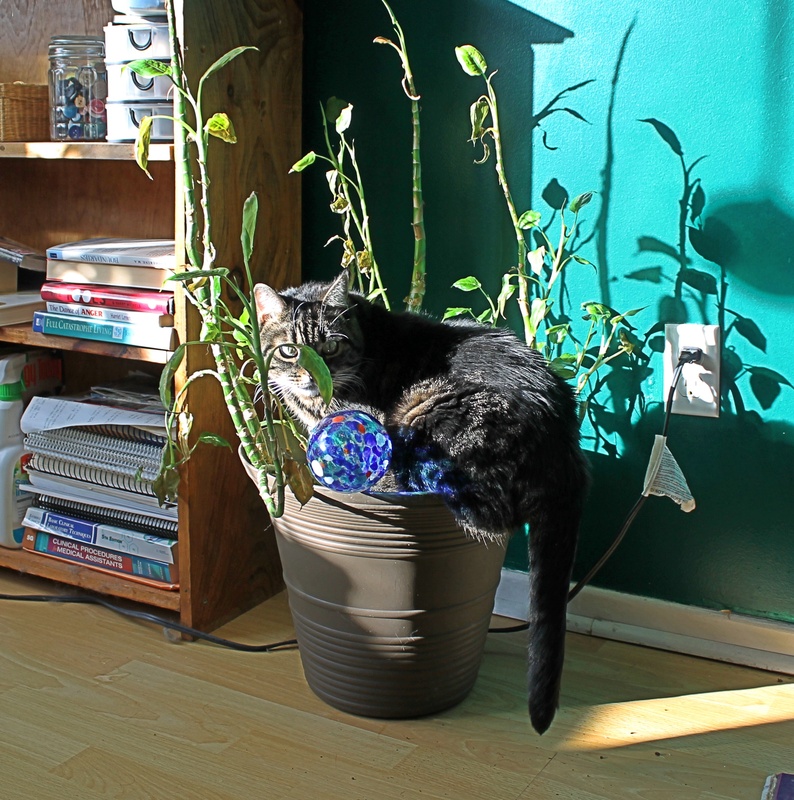 Of all my plants, it growth was the most successful. The final harvest in November yielded about five cups worth of cherry tomatoes. Surprisingly, none of my gardening books cover seed saving, so I followed directions from the Permaculture Research Institute website. The first step is to cut open the ripe tomatoes and squeeze the pulp, juice and seeds into a container with a lid. Next, let the seeds ferment at room temperature for three days, stirring the seeds once a day to prevent mold build-up. The temperature should not be any more than 21°C. Mold won’t hurt the seeds, only discolour them, so I did not bother to stir them. After three days, rinse the seeds with water and pour them onto a fine mesh screen or strainer to remove any residue. The water pressure in our sink isn’t very high, so I rubbed off most of the residue with my fingers. Next, dry the seeds for 5-6 days on a screen or a paper plate. The final step is to label and store them. I bought small plastic bags from the craft store, which seem to work well. Keep the seeds in a cool, dry place. The fridge is okay, but the freezer is not recommended. I look forward to planting these seeds in the spring to see if they grow. My goal for next year is to save seeds from a few other vegetables. Do you save your seeds? Do you have any tips?